In this file photo taken on October 13, 2016 writer/film subject Jonas Mekas attends attends the "I Had Nowhere To Go" intro and Q&A during the 54th New York Film Festival at The Film Society of Lincoln Center, Walter Reade Theater in New York City. Lithuanian-born American director Jonas Mekas, one of the leading figures of avant-garde cinema in the United States, died January 23, 2019. He was 96 years old. "Jonas passed away quietly and peacefully early this morning," the New York-based Anthology Film Archives, which Mekas co-founded, posted on Instagram, saying he died at home with his family." He will be greatly missed but his light shines on." Born in 1922 in a northeastern Lithuanian village, Mekas was imprisoned in a labor camp in Germany during World War II. He later settled in New York in 1949, where he went on to become a pillar of independent film. Michael loccisano / GETTY IMAGES NORTH AMERICA / AFP. The University of Notre Dame, one of the oldest and most prestigious US centers of higher learning, will cover murals depicting Christopher Columbus. Nova SAFO / AFP. Walter De Maria, Abstract Concept. Ink and colored pencil on paper, 8 1/2 x 11 in. © Estate of Walter De Maria. Courtesy Gagosian. The Vancouver Art Gallery also unveiled the final designs for its 300,000-square-foot building by world-renowned, Swiss-based architectural firm Herzog & de Meuron. Robert Rauschenberg, American, 19252008, No. 48, from Surface Series From Currents, 1970 (detail). Screenprint. Gift of Arthur A. Goldberg. Art © Robert Rauschenberg Foundation/Licensed by VAGA at Artists Rights Society (A RS), NY. François-Xavier Lalanne, Babouin, 1984/1990, cast iron, 53 3/4 x 31 1/2 x 27 1/2 inches 136.5 x 80 x 69.9 cm, Edition of 8. Les Lalanne © 2018 Artist Rights Society (ARS), New York, NY/ ADAGP, Paris, France. José María Yturralde, Forma ritmo-espacio, 1966 (detail). Synthetic painting, oil and acrylic on wood, 43 1/3 x 41 3/4 x 1 in. (110 x 106 x 2.5 cm.) Courtesy of Zeit Contemporary Art, New York. Dr.Tim O'Hara in Marine Vertebrate research laboratory holding a specimen jar containing Brittle Stars, Image courtesy of Museums Victoria. Alejo Benedeitt and Shane Richey with recovered Untitled male figure, 2019 by Robert Pruitt. Polly Apfelbaum, Sun Targets, 2018, glazed ceramic, 12 x 12 inches (each). Courtesy of the artist, Alexander Gray Gallery, New York, Firth Street Gallery, London and Galerie Nächst St. Stephan, Vienna. Photo by Stuart Whipps. Mexican actress Yalitza Aparicio speaks to the media outside her trailer near the US-Mexico border where she is taking part in a production, in Tijuana, Baja California state, Mexico, on January 22, 2019. Guillermo Arias / AFP. Mark Steinmetz, Knoxville, Tennessee, 1992. The lanky self-taught guitarist was a legend in the vibrant cross-genre music of Afro-jazz, with 66 albums under his belt in a career that spanned 45 years. April 24, 1915. Robert Motherwell (January 24, 1915 - July 16, 1991) was an American painter, printmaker, and editor. He was one of the youngest of the New York School (a phrase he coined), which also included Philip Guston, Willem de Kooning, Jackson Pollock, and Mark Rothko. 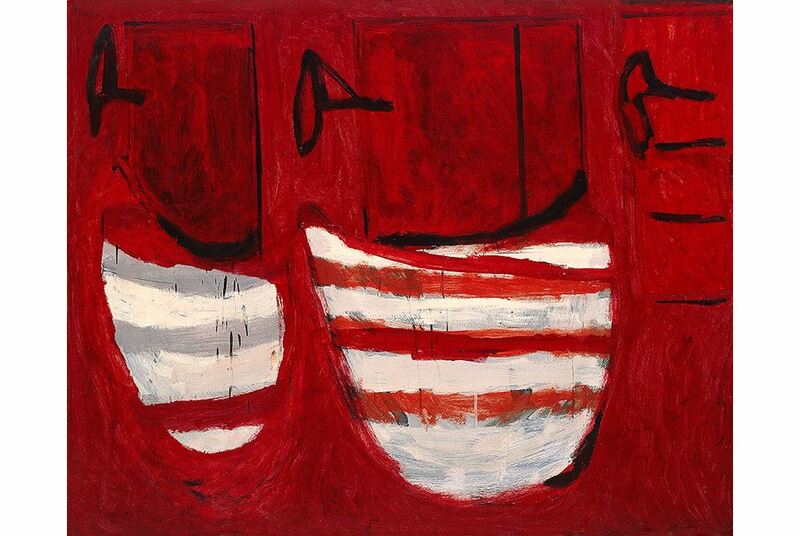 In this image: Robert Motherwell, The Hotel Corridor, 1950. Oil on masonite, 44 x 55 inches, 111.8 x 139.7 cm. © Dedalus Foundation, Inc./ Licensed by VAGA, New York, NY. Check out Casinostoplay.com for a range of beautifully designed online slot games. Editor & Publisher:Jose Villarreal- Consultant: Ignacio Villarreal Jr.